The main decision-making body, the Governance Committee sets out the strategic guidelines and agrees to a schedule of actions for the coming year. It meets on a yearly basis at one of the member universities. Traditionally, this meeting is concomitant with a Symposium and a Summer School. Last meeting: 7th Governance Committee - Corte, University of Corsica 22nd-23rd September 2016. Next meeting: 8th Governance Committee. Okinawa, University of Ryukus, November 2017. The president is elected from the Governance Committee. He/She prepares and directs the work of the Governance Committee in collaboration with the Permanent Operational Management Team. He/She ensures the implementation of the guidelines set out by the Governance Committee and represents the network in its relations with third parties. 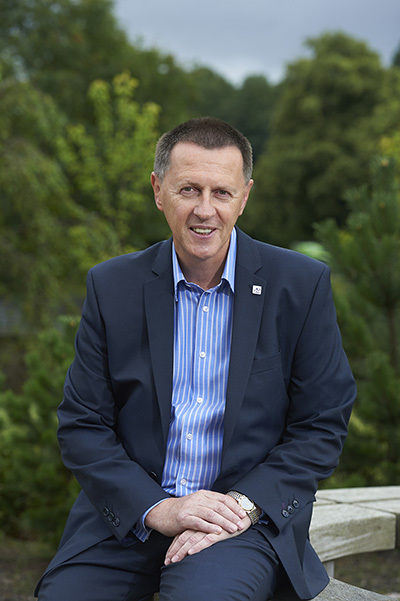 On the 23 July 2016, Professor Clive Mulholland, President of the University of the Highlands and Islands, Scotland became the 3rd President of the RETI. His term of office runs until 2019. The Governance Committee is composed of all the Presidents of the RETI (or of their representative) having one vote each. 2016 : Corti, Università di Corsica. 2014 : Charlottetown, University of Prince Edward. 2013 : Sassari, Università degli Studi di Sassari. 2012 : Lesvos, University of the Aegean. 2011 : Madère, Universidade de Madeira.